From east to west or from north to south, Indian weddings belong to different cultures and traditions. But each and every wedding tradition brings lots of emotions and celebrations for the bride and the groom along with their relatives. A beautiful example of typical wedding tradition in India is Marwari wedding. The Marwari people are generally residing in south-western Rajasthan state of Western India and they are considered as the richest classes among the people of India. There are many wedding rituals of Marwari cultural and ritual traditions, which are considered as the most unique and different from other traditions. The marriages in Marwari traditions are generally decorated with luxury settings. The rituals start well before the wedding in the form of engagement ceremony, Ganapati Sthapana, Pithi Dastoor, Mehfils, Mahira Dastoor Custom, Toran and Jaimala. After completing the pre-wedding rituals, the groom and the bride prepare for the wedding-day rituals like Granthi - Bandhan, Paanigrahan, Pheras, Ashwahrohan, vamang - sthapana and sindurdaan, saptapadi and aanjhala bharaai. The fun and gaiety does not end there, in fact, it goes way beyond to the post-wedding days as bidai ceremony, grihapravesh custom and pagelagni tradition. 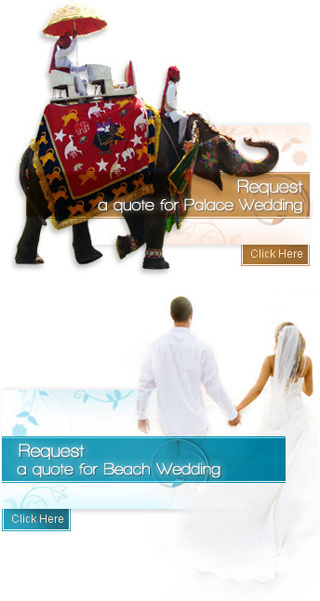 Go through our further pages, which concentrate on the Marwari pre-wedding, wedding day and post-wedding customs.